My Boss Said Yes To The Blog: What Do I Do Now? For many brides, selecting their wedding dress is the key to their plans for the big day. It’s so big that there’s a television reality show called, “Say Yes To The Dress.” Your business blog is the wedding dress of your organization’s content marketing strategy. I never got the wedding dress hoopla until I bought mine. Being practical, I figured a nice cocktail dress would be fine and save me a bundle of money. But wedding dresses like blogs aren’t about being practical. They’re about your heart and soul. Fortunately, my girlfriends came to my rescue when I was still without a dress 3 months before the big day. The result: I purchased a true champagne colored wedding dress by Jenny Latham, one of Kate Middleton’s go-to British designers, at a sample sale. More importantly the dress transformed how I thought about my wedding. My wedding dress was the jewel at the center of our wedding. Setting the tone, the dress connected all of the many wedding elements and details together. Like my wedding dress, your organization’s blog should be at the center of your content marketing strategy. 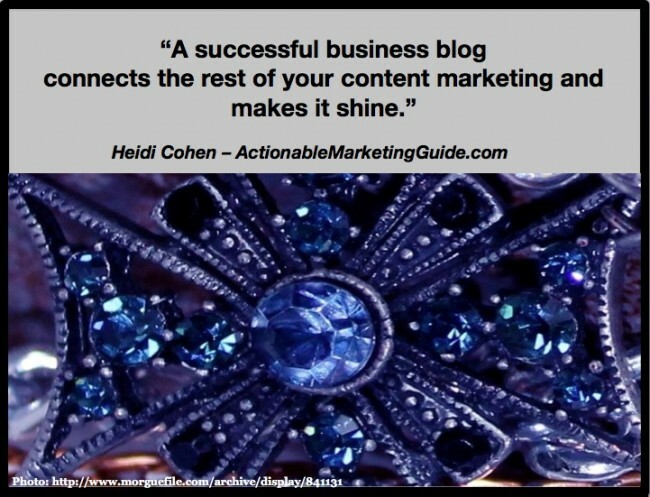 A successful business blog connects the rest of your content marketing and makes it shine. 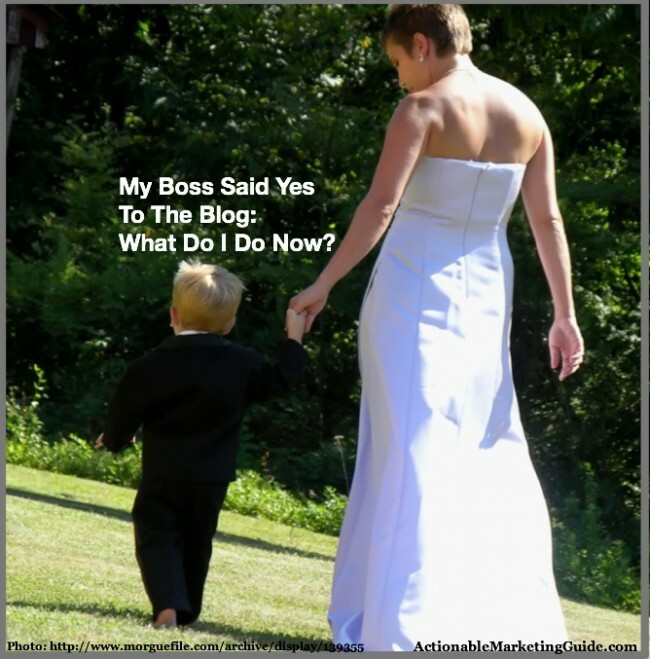 My friend understands that he needs a plan based on best business blogging practices to succeed. This is a challenge many businesses face. I believe this is why blogging is declining among Inc 500 firms according to UMass Dartmouth research. Here’s the 5 step business blogging framework you need to launch a successful business blog. Integrate your blog into your overall marketing, content marketing and social media strategies and plans. In larger organizations, you need to bring a diverse group of stakeholders and area experts together. If you have trouble getting everyone to participate, start with the people you have until you show success. Your objective at this point is to ensure your blog supports your organization by enhancing its brand, attracting traffic and customers, and building thought leadership. To ensure your blog doesn’t create redundant content and effort, audit your organization’s content to determine what’s still useful, what needs to updated or removed, and what content is missing. Determine your blog’s objectives. Answer these questions: ”Why do we need a blog?” and “How do we expect our business to change as a result of this effort?” Make your objectives as specific as possible to yield measurable results. “Improve our branding,” for example, isn’t sufficient. Define your target audience. To this end, create a marketing persona and a social media persona. Your blog doesn’t have to be a one-size-fits-all. If your key constituents are diverse, create multiple blogs. Assess how your blog will integrate with your other marketing plans. This includes your existing content marketing, communications (both internal and external), email newsletters, website, social media, PR, and other related marketing initiatives. Check how your blog will interact with your website and other marketing technology. You will probably need technology support. Check with your tech and website teams. A blog is a simplified CMS (content management system) designed around a publishing model. There’s more to blog content than just writing posts as they occur to you. Blogging like any other media entity requires consistency for content creation and publishing. Select or modify your brand for your blog. Think 360° brand. Here’s a list of 31 blog design elements for your blog. This includes fonts, colors, image use and other factors. Determine your key blog topics. Ideally check where there are holes in your current content offering. Your marketing persona should help guide you. 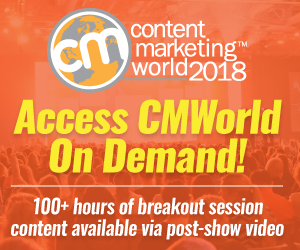 Consider how you can extend your existing content marketing efforts. Choose your content formats. Blogs can handle most types of content. At a minimum, include text, visuals, photographs. Develop blog post guidelines. Define your blog’s voice, type of language, post length and other elements to make your articles consistent. Plan mega-hit content at least once a month. Get your marketing and PR teams working together on this. The goal is to attract broader attention than a regular post would garner. Create a blog editorial calendar. This is a subset of your content marketing calendar. Outline the major columns and features you’ll have. These can change over time. For example, we just introduced a book interview column on Saturdays. Extend other marketing initiatives. Check that your articles are coordinated with other marketing efforts. Reference key influencers in your niche. Every blog post should have both internal and external links. Use outbound links to attract attention of key influencers in your niche. Also link to at least one other article or post on your blog or website. Choose your keywords. These should be associated with your existing search efforts. Each article should focus on one keyword phrase. Here’s what 15 SEO experts recommend for blog SEO. Craft amazing headlines. Headlines can make or break your content and its reach. At a minimum, test 25 headlines. Add at least one photograph. Photos attract attention. Use them to pull readers into your blog. Don’t underestimate the power of other types of formats. Format your posts for consistency. Make your content easy-to-read with bolding and short paragraphs. Check out these content presentation tips. Edit your blog content. Blogs are no longer a place to capture your fleeting thoughts. Good grammar counts. If you have the resources, get a professional copy editor. Otherwise have at least one person read your content for clarity and usage. Ensure that your blog can be read via a mobile device. As a business blog, there’s a good chance that your readers will consume your content via a smartphone or tablet between other activities. Check your search optimization. A business blog should support your SEO. Link to existing content. Also include a link from a past piece of content to your new post. You hit publish and nothing happens. Leverage your existing communications. Promote your blog posts in every communications channel you have. This means your website, email newsletters, employee communications and other marketing. Share your content on social media. Traffic Generation Café’s Ana Hoffman recommends turning your blog posts into PDFs and sharing them via SlideShare. Get your employees into the sharing game. Alert your employees every time you publish a post and ask them to share it via their personal social media accounts. I suggest sending a company emailing to alert employees about blog publication. Use employees’ email signatures. Include a link to the most recent post in everyone’s email. This can be changed easily and centrally. The branding benefit is that you force everyone to use the same email format. Get your PR team on board. Create blog posts that provide a PR hook so that they have the ability to further your content with press releases and other tools. Build a guest posting strategy. The objective is to create amazing blog posts on other people’s blogs that will build your blog’s reputation and drive traffic. Why give away your blog content? Because established blogs have more traffic. Develop influencer relationships. 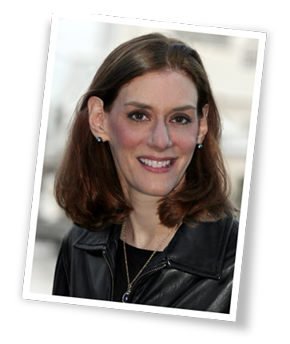 For most businesses, influential people in your niche probably have big followings. Tap into them by referencing and linking to them in your blog posts. Tap into your supplier and distributors’ networks. Where appropriate, work with your suppliers and distributors to encourage them to share your content. Extend the power of your paid advertising. If you already have an ad campaign in place, check whether you can get related support to encourage sharing your articles or placing guest posts. Support your blog posts with paid social media ads. This can be particularly useful on Facebook if you have a limited reach. Check Jon Loomer’s site for additional suggestions. Create a Pinterest board for your blog posts. This works for BuzzFeed. As with any marketing initiative you must measure your results against your goals. Test different aspects of your blog. It’s hard to do an A/B test on a blog. Instead try new things on your blog posts to see what resonates best for your audience. Since your readership may be low initially, check what your peers are doing. Measure your key statistics. Look at visitors, pageviews, email registrations, search rankings, inbound links, thought leadership. Here’s a full list of blog metrics. Keep bloging. The biggest reason bloggers fail is that they stop blogging. Maintain a consistent publishing schedule. While Hubspot found blogging 2-3 times a week to be optimal, it’s more important to be consistent. (Here’s the blog post data.) Orbit Media’s blog publishes bi-weekly. 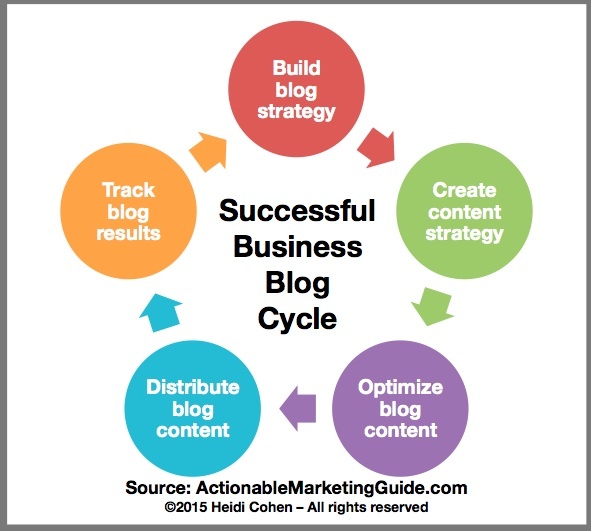 As I mentioned before, the biggest factor for a successful business blog is consistency. Publish quality content around the key topics your audience seeks on a regular basis. Don’t underestimate the power of your blog presentation for attracting and keeping your readers. Still need help? Check out The Newbie Blogging Guide–What The Experts Don’t Tell You. What other factors are part of your business blog strategy and why have they made you successful? Tags Ana Hoffman, business blogging, Jon Loomer, Optin Monster, Orbit Media. Bookmark the permalink. Loved the analogy, Heidi – even though I, myself, never quite got the wedding dress hoopla; so much so that my husband of now 18 years and I had eloped and never looked back. However, an actionable checklist is the key. This is exactly what businesses need to stand a chance and that’s exactly what you gave them. Honored you included me in it. Thank you for your traffic generating tips. You find tactics that work that many bloggers and content marketers overlook.